How The ‘Me Too’ Movement Was Stated & By Whom? The ‘Me Too‘ movement was founded in 2006 by American social activist and community organizer Tarana Burke to help survivors of sexual violence. 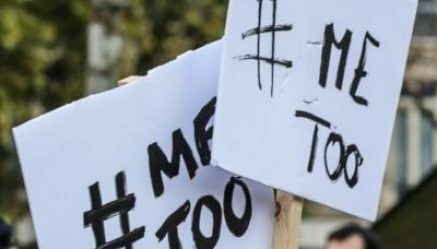 ‘Me Too’ (#MeToo) spread virally in October 2017 as a hashtag used on social media platforms in an effort to demonstrate the widespread occurrence of sexual assault and harassment, specifically in the workplace. The movement followed soon after the sexual misconduct allegations against Hollywood Film producer Harvey Weinstein. How did it start? Who Stated It? When did it start? The ‘Me Too’ movement was founded in 2006 by American social activist and community organizer Tarana Burke to help survivors of sexual violence. Burke started the campaign ten years after she had a conversation with a 13-year-old Sexual Abuse survivor. “I didn’t have a response in that moment, and I couldn’t even say ‘Me Too’,” Tarana had said. However, the slogan (#MeToo) was later popularized by American actress Alyssa Milano, on Twitter in 2017. Milano tweeted about it on October 15, 2017 and the hashtag had been used over 200,000 times by the end of the day, and tweeted more than 500,000 times by October 16. On Facebook, the #MeToo hashtag was used by over 4.7 million people in 12 million posts during the first 24 hours. Milano and Michael Baker encouraged victims of sexual harassment to tweet about it and “give people a sense of the magnitude of the problem”.